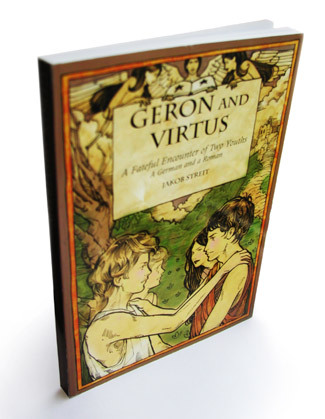 A fateful encounter of two youths Written by master Waldorf teacher Jakob Streit, Geron and Virtus is the remarkable story of two boys during the Roman campaign to conquer the Germanic tribes. It is about friendship, slavery, honor, and adventure. The text is rich with spiritual insights provided by druid priests and their stories of Nordic mythology, the foundation of the Germanic folk soul.